Six cinemas housed audiences for a total of 14 feature film premieres with the films, Ma vie de Courget and Kubo and the Two Strings quickly selling out. An additional 321 short films were shown from 23 countries. A variety of workshops and exhibitions were attended as well as four nights of parties at Fantoche’s partner Club Royal which transformed Baden into a vibrant festival city. 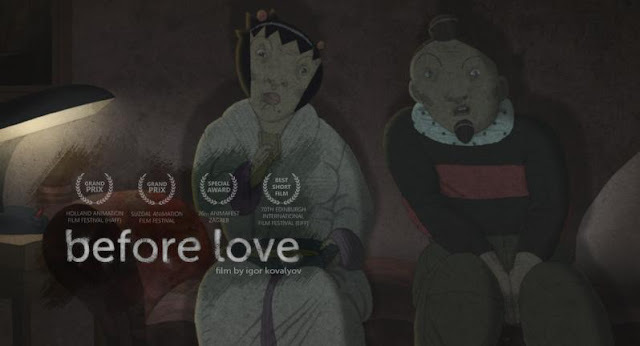 Before Love - By Igor Kovalyov was awarded for Best Short Film at the 70th Edinburgh International Film Festival (EIFF) The Short Film Jury said: The film stood out to the jury because the director gave us a unique cinematic experience. Beautiful and stylish animation explored a bizarre love triangle with a fascinating female lead.